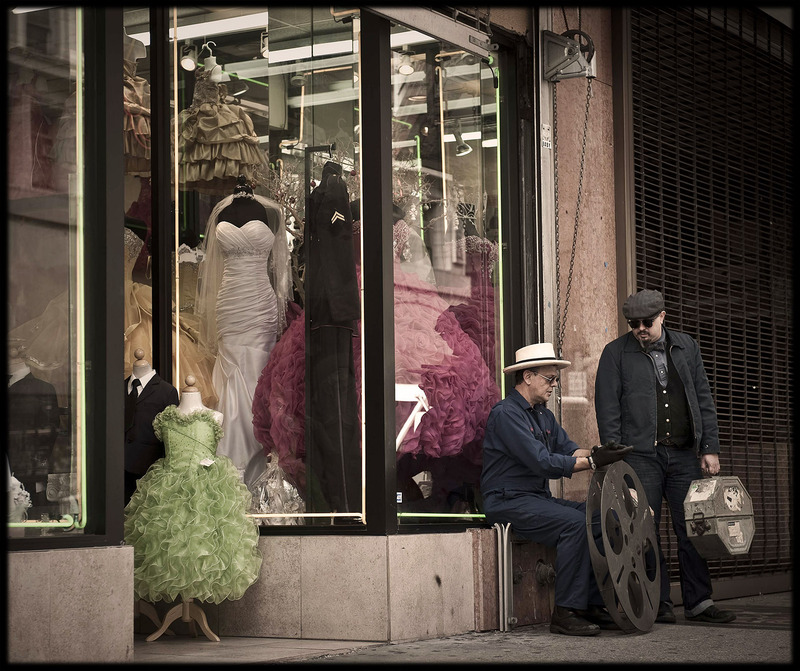 Carlos Grasso and James Slay take a break from their long and arduous film journey in front of a bridal store on Broadway. They discuss their next move. Los Angeles CA, 2012. Photo by Vern Evans.